Panama City Family Vacations - Ciao Bambino! If you’ve never pictured Central America as a modern, thriving hub of economic activity, spend a few vacation days in Panama City and be convinced otherwise. Be sure to book a kid-friendly tour of the Panama Canal, one of the world’s top engineering marvels. It’s worth spending a couple of nights or more here to take in the colorful mosaic tiles, intricate architecture and amazing rejuvenation projects before heading to other regions of Panama. Our favorite kid-friendly hotel offers the best of the city’s Old World charm and updated conveniences, all in a perfect setting for sightseeing. "Thank you for all of your support and expert tips. Everything went seamlessly, all our activities were wonderful and working with you made all of the planning so easy for me as a working mum. All the activities Melissa chose were tailored to my children's likes and also had a great blend of education and great fun." "Thanks so much for preparing the most fantastic trip for us. We loved everything you planned for us. Everything was so easy with the app. Your customer service was amazing. You truly put us at ease, explained everything so well, and made us really excited for our trip. You’re fabulous!" "The trip was fantastic! The hotels were great. The tours were all exceptional. 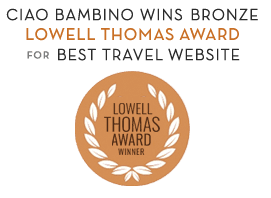 Our experience with Ciao Bambino was wonderful! Thank you for all of your help!"